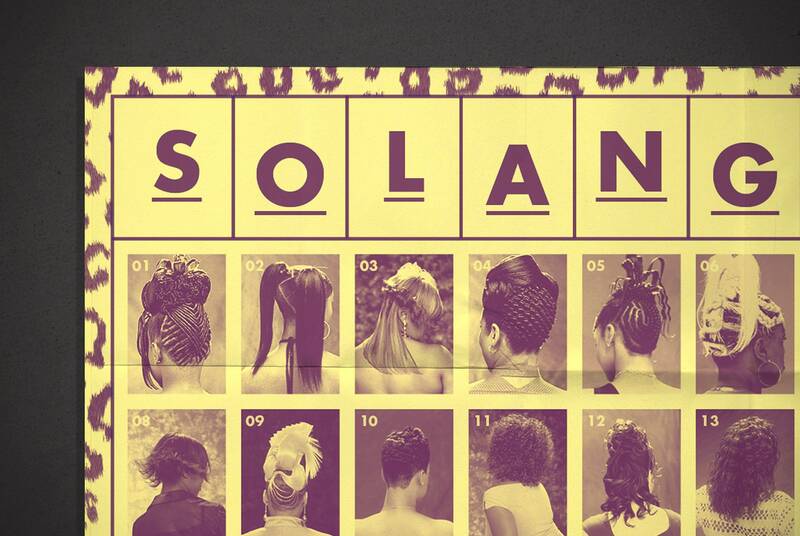 Poster designed for the Brazilian festival Popload Gig, which in this edition featured the singer Solange Knowles. I was invited to create the poster in order to promote the night. With a few restrictions (i.e. no use of any pictures featuring the artist herself), I had to find graphic resources inside the nuances of her work. 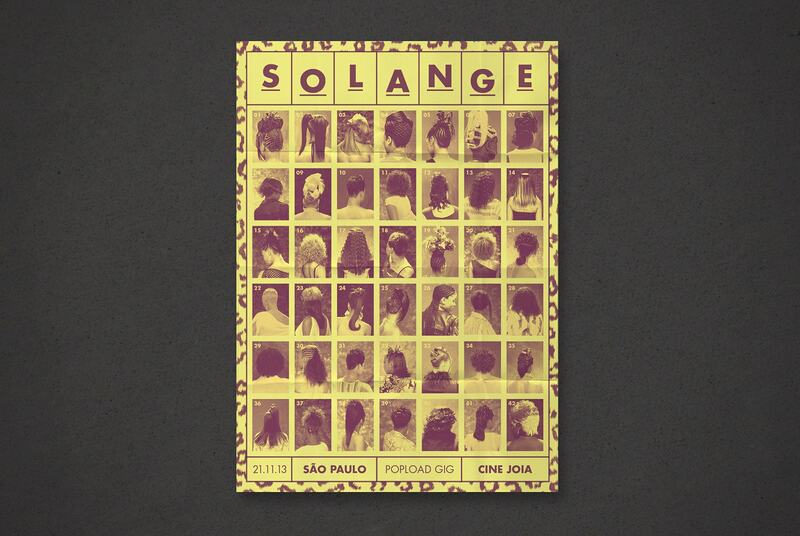 Therefore, the design carries a combination of a bunch of different hair styles since the artist is known to experiment a lot with her hair; plus, an ethnic patterned frame, inspired in Solange’s colourful looks.